​Manchester United forward Anthony Martial is open to the prospect of swapping Old Trafford for the Emirates, ​with the French international tipped to leave in the summer. Since the signing of former Arsenal favourite Alexis Sanchez back in January, Martial has found regular first-team football hard to come by, and it has now emerged that ​Arsenal could be potential suitors for the 22-year-old. Despite interest from European giants ​Juventus and Paris Sairnt-Germain, French news outlet ​Le 10 Sport have revealed that Martial would favour a stay in the Premier League. 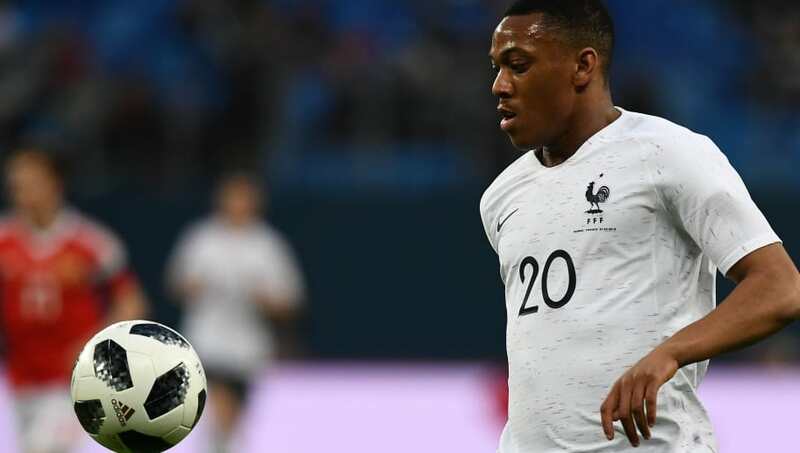 However, Arsenal could be in a fight to secure Martial’s signature, with the former Monaco star - who has scored 36 goals in 131 games at Old Trafford - attracting interest from local rivals ​Tottenham and ​Chelsea. Jose Mourinho hinted to Marcus Rashford and Anthony Martial that he cannot guarantee regular them regular football. Elsewhere, Arsene Wenger has backed in-form Arsenal striker Danny Welbeck to secure a spot in England’s World Cup squad. With Pierre-Emerick Aubameyang cup-tied and Alexandre Lacazette only just returning from injury, Welbeck has had to step up to the plate in the Europa League, with the 27-year-old bagging vital goals against ​Milan and CSKA Moscow respectively on the Gunners’ road to the semi-finals. Additionally, Welbeck scored a brace in Arsenal’s last ​Premier League outing against ​Southampton and will be full of confidence going into their game with ​Newcastle on Sunday afternoon.